Blow-dry brushes are known by many different names, including round brush dryers, hair dryer brush, blow-dry styler, hair styler, styling brush, hot air brushes, and hot air stylers. However, they all do the same thing, and this is to dry and style your hair at the same time. 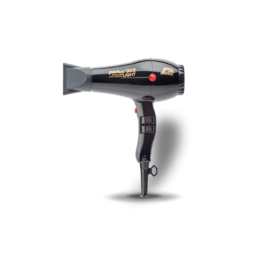 This is essentially a brush with a dryer built inside, enabling you to achieve the perfect hairstyle in less time. This is great for busy mums, as well as women who want to style their hair before going to work in the morning. And also can be brilliant for older children and teenagers who want their hair to look good, but may not have the arm strength, dexterity and patience to properly do a blow-dry. See our page on ‘kids’ hair dryers for more advice here. Flat paddle brushes – A flat paddle brush features a flat and big shape, which is anti-static and smoothing. It is a great choice for those who are prone to frizzy hair. If you have straight, thick hair, this is most likely to be the best choice for you. Round brushes – A round hot hair brush is the perfect choice if you want to achieve that hair salon style blow-out, leaving you with big angel curls. 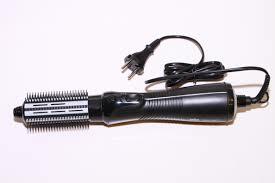 You can also achieve perfectly straightened hair with this type of brush. They come in various sizes, and the vital thing to note is that the bigger the barrel, the softer the curve will be. 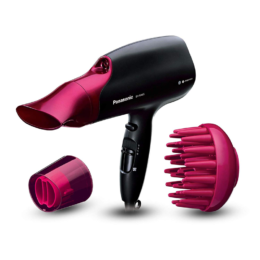 Hot air brushes best for waves – This is a blow-drying brush that has been specifically designed to give you waves. 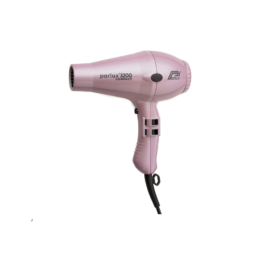 Hot air brushes best for straightening – These are hot air brushes that straighten your hair while you blow-dry them. They come in a variety of designs; some have two brushes facing each other whereas others have circular brushes. Hot air brushes for de-tangling – These heat styling tools will smooth your strands while drying your hair. If your hair often gets mangled and tangled when it is left to dry naturally, this is definitely a good choice for you. However, it is good to make sure your hair is well conditioned beforehand, as this will help to prevent breakage. Volumising brushes – These are styling brushes that are designed specifically to provide you with a voluminous look. Non-volumising brushes – These brushes are not designed to provide you with extra volume. 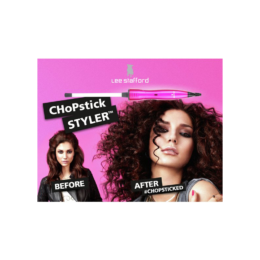 If you prefer flatter styles or your hair is naturally bouncy, you may prefer this sort of styling brush. Spinning brushes – A spinning hot air brush, also known as a rotating hot brush, features a circular brush and a multi-directional feature that enables them to rotate in either direction. This is a great brush if you want to achieve a lot of volume and shaping while you are styling. Non-spinning brushes – It probably comes as no surprise to you that a non-spinning brush is the opposite of a spinning brush, meaning it does not rotate. To see our reviews of some of the best blow dry hair brushes in the UK click here.